core strengths in services stems from advice to key clients offering them solutions, with truly global reach and resources placing us in a unique position to help your organization achieve the extraordinary through innovative strategies, seamless global execution and a relentless focus on implementation. Urban Medical is a leader in the development of telehealth and related management services. It brings together individuals with a strong background in clinical services and IT&T within the health sector. Our group came together in 2000 to investigate and develop solutions to enhance remote support to remote Specialist diagnostics, retrievals and Intensive Care Units in Queensland and has since extended its programs globally leading the development of leading edge systems. Our teams has collaborated with projects in Australia and Europe and therefore has developed a wide variety of both low and high cost telehealth services. Our original projects have progressed to hospital-wide services, and the team has similarly progressed to a thorough understanding of the issues and infrastructure associated with routine use. The partnering nature of our projects have provided the core Urban Medical team with a diverse group of technology experts on which to call. Establishing an appropriate relationship between participating clinicians. Developing protocols for communication and interactions. Developing management procedures for telehealth services. Identifying, testing and implementing cost-effective technology and “techniques” for conveying clinical information in existing clinical environments. Urban Executive’s Salary Benchmarking provides an independent snapshot of the market base salary, total cash, short and long-term incentives, as well as typical benefit prevalence for individual levels and positions within your business. These benchmarkings are tailored to our clients specific needs with all results based on extensive, high quality data taken from Urban Executive Salary Surveys, specific targeted research from key industry and candidate sectors and published sources. Target remuneration fairly and equitably. Should testing of employees be required as part of our process, Urban Executive utilises a number of frameworks for its psychometric analysis. We provide and partner with a range of highly credentialed organisations and individuals to complement our own internal procedures. Urban Executive will utilise a range of indicators and frameworks to validate roles and will make recommendations on the suitability of frameworks for each candidate. These indicators are also included in the general Selection Criteria and Values endorsed by the organisation. We specialize in providing affordable one-on-one outplacement services. We are able to provide personalized outplacement services featuring one-on-one time with a Career Transition Consultant at a price below many group seminar outplacement packages. Whether you are downsizing 1 or 100 employees, we can provide your company with the means to offer them effective, affordable outplacement services. At Urban Executive, our outplacement services philosophy is based on the belief that we can best serve a displaced employee by truly understanding their unique situation. To accomplish this, we provide each displaced employee with the personalized one-on-one attention and support they need. With each of our outplacement packages, a displaced employee receives one-on-one time with a Career Transition Consultant. Click here to find out more. Same Direction, Same Goals, Same Success. Our team alignment services and products help leaders build the team processes, competencies, and values that promote unity of purpose, excellence in execution, and superior team member interaction. Existing teams that are not functioning with optimal effectiveness. Employee surveys are an important tool to solicit employees’ insights and suggestions for improvement providing your organization with valuable information that can be acted upon to increase employee loyalty and satisfaction in the workplace. With its tight integration to our other talent management modules, Urban Executive Employee Survey tools provide managers with a faster, more efficient way to fine-tune group initiatives or just get a quick, painless perspective on hot topics. Call us to discuss your organisations needs. Urban Executive offers its client’s an uncompromising look at its workplace, providing a “value proposition” in relation to which people can provide the foundation stones for change, and strategies that feed from this that will eventuate in steering the organisation to success. 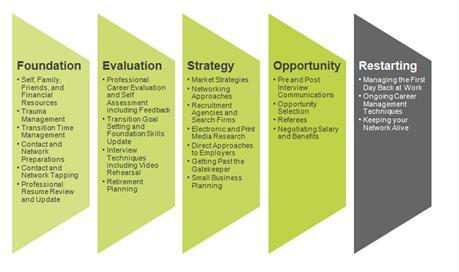 Our proposed methodology for Projects incorporate strategy development in partnership with its client. This is followed by in-depth reviews and interviews with key personnel, including the CEO/ Executive Management Team, as well as line management. The results are communicated to the Chairman’s & CEO as the key stakeholders with recommendations on issues such as Culture, Organisational Temperament, Staff Suitability, Employment and Redeployment, Change Management, Succession Planning, and Outplacement. Using both interview and strategic review, Urban Executive is able to generate a recommendation from which the Project can select the most appropriate course of strategic action.